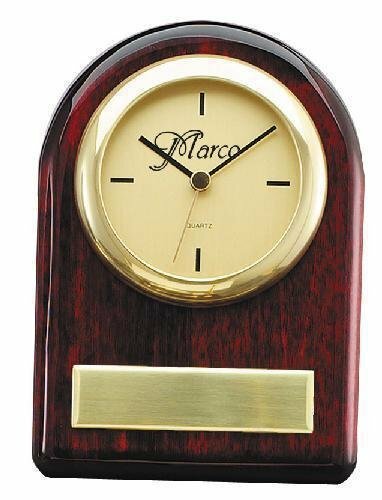 This 4” x 7 ½” horizontal clock has a high gloss rosewood piano finish and features a 3” Quartz clock with a brilliant gold bezel. 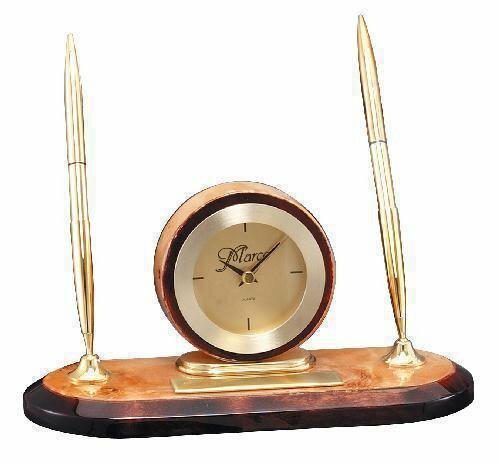 The clock features second hand timing and an alarm, and is powered by one AA battery that is included. 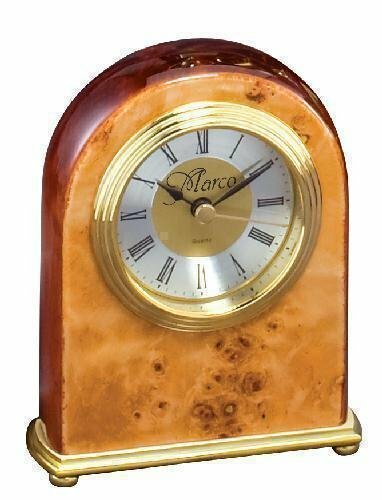 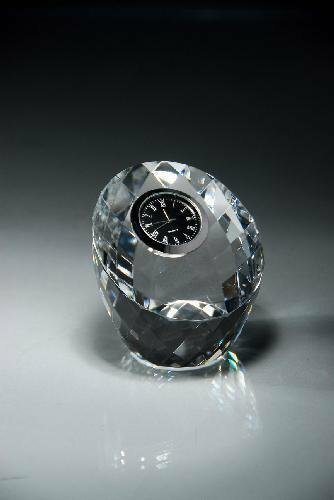 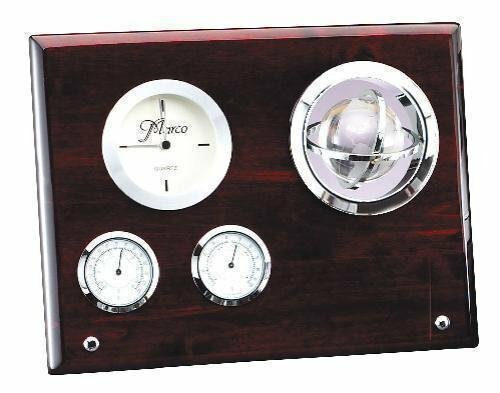 There is an ample personalization area, making this clock an exquisite recognition of achievement anyone would be proud to receive.